Kerry Ann Stoke's vision for the Moody Romantics (featured on Ruffledblog) included taxidermy, butterflies, homemade pies, and the dip dye veils she's known for. We contributed with some of our in line designs–Dazzle, Can't Do This Without You, and It's Your Day–as well as a custom designed wedding suite to reflect the styling. 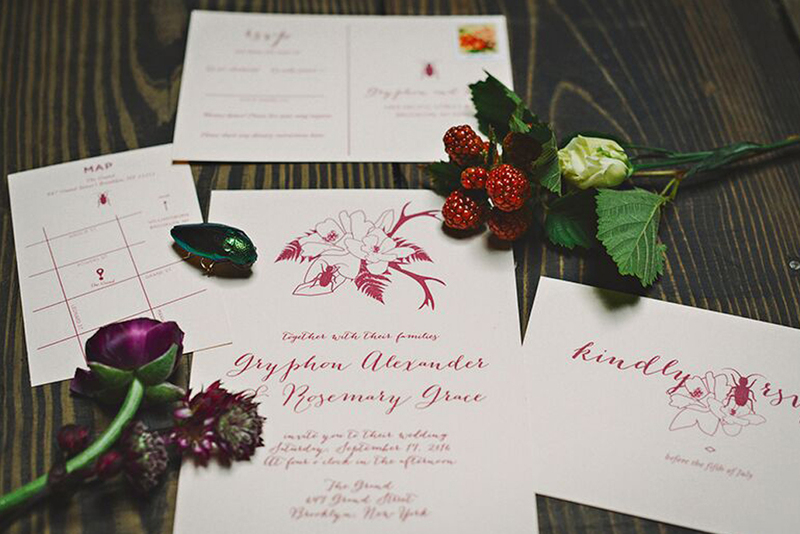 This shoot sets the mood for a dreamy and romantic fall wedding.